The club survives financially on membership subscriptions and the fundraising efforts of the club volunteers. 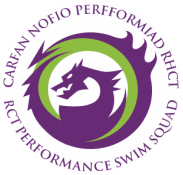 We want to be able to provide a secure, stable platform for our members and coaches, by forging sponsorship partnerships with businesses within the RCT area. ​We want these partnerships to be mutually beneficial, so as a minimum we will reward even the smallest contribution to our club by recognition on our website. ​Bridal Box Pontyclun, For all your wedding needs. Brides and bridesmaids, prom and suit hire. ​Bridal Box Limited opened in 2012 and is a family run business which allows us to provide the personal touch our brides, grooms and customers deserve. Our values ensure we deliver an excellent customer service, from your first visit right through to your special day. Our shop has a relaxed and informal atmosphere, which makes everyone feel welcome. We will do our utmost to make this a special experience. ​Structural steel building contractor. We construct/build commercial premises and factories. With over 40 years experience in the industry and from our purpose built manufacturing facility based in Pontyclun near Cardiff South Wales our building contractor services include the manufacture /installation /build process of mezzanine floors/structural steel /balustrades/production/office partitioning /doors /clean rooms/laboratories /sound rooms not to mention all building /ground works /cladding, refurbishment works amongst other assorted services. ​MC Electrical are electricians based at Tonyrefail in South Wales, with coverage available all along the M4 & M5 Corridors, Wales, The South West, The South, The Midlands, The South East & London.